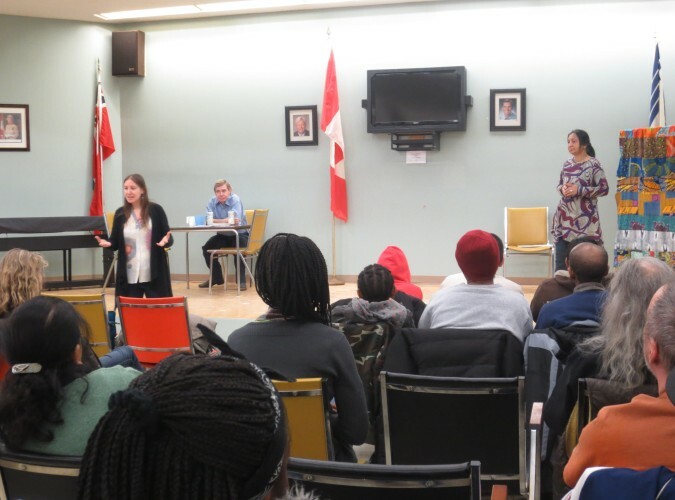 This production combines spoken word poetry and forum theatre to address the issues of poverty, discrimination and the struggles of living in community housing, prevalent in the KGO community of East Scarborough. It’s Here We Dwell was co-created with residents of KGO as part of the Spoken Forum Collective pilot project in East Scarborough. This project engaged KGO residents in a 6months long immersive program in spoken word poetry and theatre to build new creative skills and use spoken word poetry and forum theatre as tools to address the ongoing issues in the KGO community. Check out the video footage of It’s Here We Dwell and the Spoken Forum Collective Project Here and Here. Check out our photos from It’s Here We Dwell and the Spoken Forum Collective Project Here.